Multiple Server OpenStack Swift Installation appears a bit confusing to the new users who wants to create an cloud instance for storage. It is definitely not possible for all the Universities to arrange multiple bigger instances of own bare metal, possibly testing the softwares on own Servers becomes prohibitive for cost. The terminology Cloud itself is too much business centric. We have to understand the fact – Virtualization is the enabling technology and these softwares like OpenStack, OpenShift are the softwares which builds the Cloud. Suppose we are running Xen Virtualization on n number of servers, we have to use these softwares for creating the Cloud. This is very very basic, flat, over simplified excerpt. The number of useful websites on Cloud Computing who actually provides the practical part are the rarest of the rare and the websites which has content, Google pushes them to a position where an user will never find. You can find more facts about the search results on a basic article – What is Cloud Computing. It is good that, the PRISM facts brought a general consciousness about privacy and security. So, what happens, when a starter wants to create the first instance like a Multiple Server Swift Installation – they find the toughest of the tough articles and guides – all starts from the point of in middle of command line commands. UNIX knowledge and overall knowledge of High Level Programming Languages are becoming extinct – thanks partially to Microsoft. Without basic knowledge of UNIX commands, it is really impossible to understand any guide. There is much depth of the quotation of Richard M. Stallman against Cloud Computing. An average learner has the highest possibility to become an user. The cloud computing business model is crafted in that way. 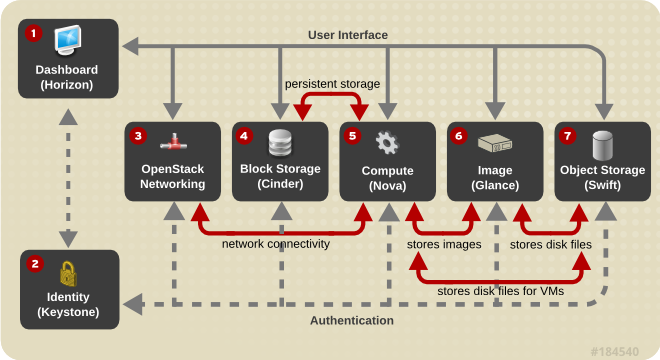 We wrote very basic startup article before on OpenStack like OpenStack Private Cloud on Laptop with DevStack.Rackspace Cloud Files uses Shift, but the way of configuration from their side is different. There will be obvious difference of API implementation between your rolled Shift and Cloud Files. Rackspace uses Akamai as backend – the infrastructure is very very complex and effective. It is a wrong way of thought if we try to calculate Rackspace Cloud Files and Swift – its impossible to guess the way of implementation. For security, branding; they will obviously use a different way of exploitation. The heart is Swift. You can build the storage ring of nodes on any server with Swift installed. Once rebalanced, you need to distribute them to all the servers in the cluster.These will contain information about all the Swift storage partitions as if we have mounted three or four external hard disks on our OS. Keystone, Nova Compute with the packages already available in Ubuntu Server 12.04 LTS (Precise Pangolin) will practically require almost no effort for the work. Ubuntu might do data theft for desktop users but the documentation is quite good, so it is a good point to start with. If you use any REHL based dist. SUSE – its practically difficult. SUSE demands more understanding – just only read how WordPress is installed on SUSE on single server. Debian based are always easier for the starters. SUSE offers security should never be the points to work for dev purpose for the first time. Swift is designed to run on commodity hardware. At Rackspace, our storage servers are currently running fairly generic 4U servers with 24 2T SATA drives and 8 cores of processing power. RAID on the storage drives is not required and not recommended. Swift™s disk usage pattern is the worst case possible for RAID, and performance degrades very quickly using RAID 5 or 6. This Article Has Been Shared 2166 Times! Cite this article as: Abhishek Ghosh, "Multiple Server Swift Installation : Outline," in The Customize Windows, August 7, 2013, April 21, 2019, https://thecustomizewindows.com/2013/08/multiple-server-swift-installation-outline/.